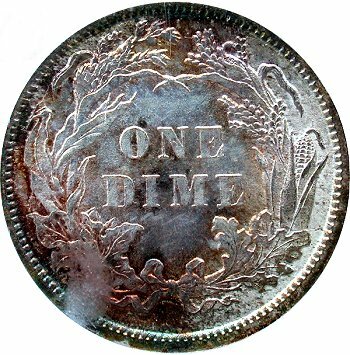 Comments: There is a misplaced digit on Obverse 5. 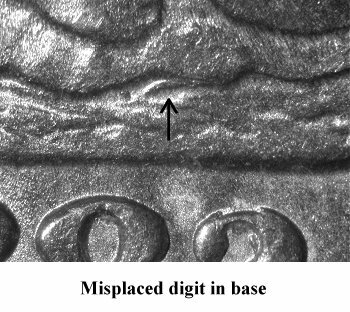 The misplaced digit is located on the base directly above the mid point of the 8 and 2 date digits. 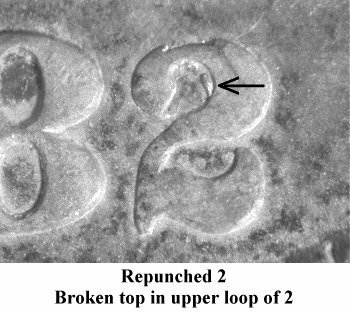 I suspect that the misplaced digit is the top of an 8 digit. 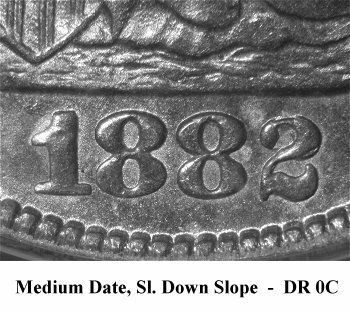 The 2 digit in the date shows repunching within the right side of the upper loop. 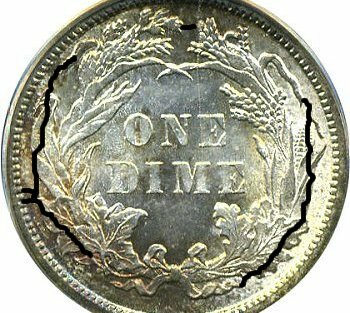 The top of the 2 digit is clearly broken. 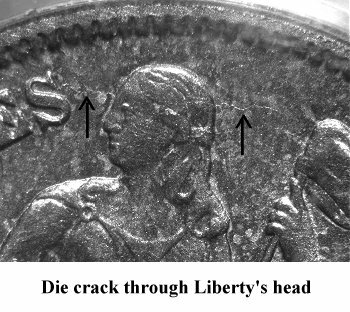 There is a die crack from STATE(S), through Liberty's head to the cap. 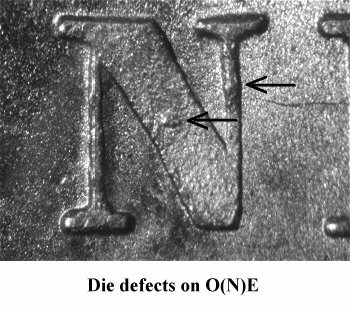 Reverse E has a die defect in the center of the diagonal, another least obvious is found on the right upright. 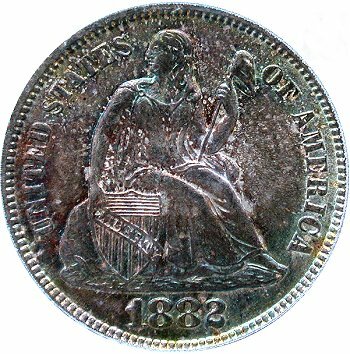 There are circular die cracks throughout the reverse wreath.